It would be an unorthodox musical palette that elected 1961 as the period in which Elvis Presley made his finest records, but as that years charts were littered with routine and mundane platters by far too many nancy boys all seemingly called Bobby, singles as strong as Elvis Latest Flame, Little Sister, Feel So Bad and the evergreen Cant Help Falling In Love were unencumbered by any strong competition on their way to the top of hit parades the world over. Presleys albums across the second year of the new decade were limited to film soundtracks and the well received Something For Everyone which was his first Number One LP since his 1957 Christmas Album. While neither Flaming Star, Wild In The Country nor Blue Hawaii could boast track lists as strong as former celluloid glories such as King Creole or Jailhouse Rock, they all had standout cuts that made the films they accompanied somewhat less mundane than the scriptwriters alone could achieve. 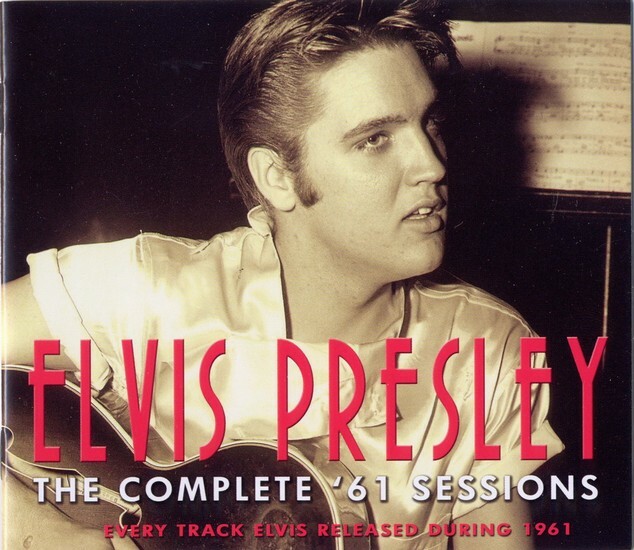 And while the year in general for Elvis was a frantic round of recording, acting and even performing the odd benefit show, the music RCA released or which accompanied his movies was proof again that Elvis still remained not just a hugely popular icon and heartthrob, but a truly gifted singer, a once-in-a- lifetime performer and a musical entertainer without equal. 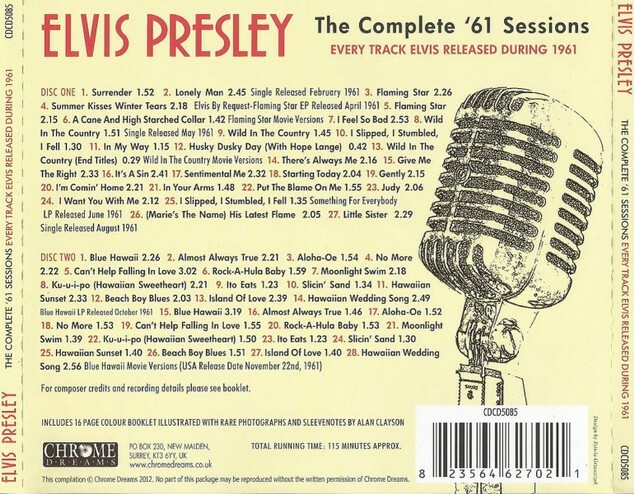 Every note released by Elvis during 1961 is included here on this double CD set which continues the Complete Elvis series towards its ultimate goal of providing a comprehensive library of every record ever released by The King.